Android is amazing operating system platform which is used widely in smartphones / tablets. Android provide sufficient hardware support for playing game. We can also play 3D games on our smartphones. Android 3D Games provide a more realistic graphic quality as we feel we are actually inside the game. Therefore android is so much popular among the youngsters. Android Role Play Games are very popular among the youngsters as well. These Games provide us a chance to play the role of our Favorite super Hero characters like Hulk, Superman, Ninja Worrier, Kritika, spiderman etc. Android RPG games are full of interest and curiosity. Even these are similar to mission games. These games are a combination of adventure, fighting and brain teasing situation with various difficulty levels and epic bosses. Be ready to fight against the evils and feel like a super hero. In this Article we are going to list out some best RPG games for android which are in huge demand by android gamers. List Of Best RPG Games For Android. 1. Kritika The White Nights. 3. Walking Dead Road To Survival. 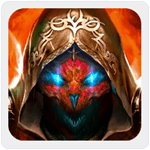 It is an awesome android RPG game which has a Rating of 4.2 on Google playstore. In this game we have to play the Kritika and fight against the evil. We have a demon blade to make bloody path around the war. Use different superpowers to defeat the demons and epic bosses. This game offer the best Graphic quality with animation effects. Approximately 50 million users downloaded this game. 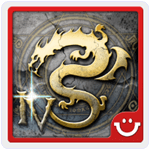 It is amazing in all RPG games for android which has rating of 4.5 on Google play store. It is an action and adventure game which is full of Marvel characters like Hulk, spiderman etc. 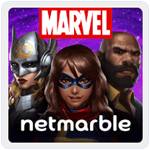 This game provide an offer to play a role of one of our favorite super hero characters. It provide 350 different stages with different level of difficulty. Approximately 50 million users downloaded this Game. 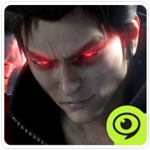 It is popular among android role play Games which has a rating of 4.2 on Google play store. It is based on the walking dead to road comics story. In this game we have to recruit our team to survive and to play a deadly adventure. We can recruit any iconic character from the comic. We can also customize our survivals to increase our powers. We have to fight with our rivals to become alive. Approximately 50 million users downloaded ad this game. 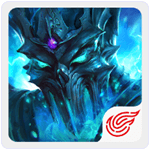 It is war based game in list of RPG games for android with different levels of difficulty. Let’s ready to choose our side when two force rises. Be the part of light and feel like ancient worrier. This game has 6 different classes and 90 different skills 15 skills for each class. Customize your skills and play game to defeat our rivals. This game provide the real like scenes of old wars with awesome graphics and sound quality. Approximately 50 million to users downloaded this Game. SoulCraft action is a combination of Action and RPG game with various level of difficulty. It support both offline and online mode. We can challenge our friends in online mode. It provide the awesome fighting effects and various types of swords. We have to play the role of warrior and fight against the evil. Feel like a Hero in dark nights. Approximately 10 million users downloaded this App. 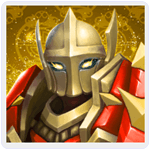 It is an awesome as compare to other RPG games for android. This game provide as a chance to enter in the life of Avakin a real like 3D world where a millions of people already exists. In this game can chat with our friends and send them unlimited messages around the world. We can customize our own apartment with our decorative skills. We can also create our own 3D character to play this Game. Approximately 10 million to users downloaded this Game. 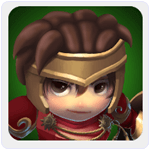 Eternal Arena is a fast paced android game which is mixture of RPG and action Game. The Game provide 35 different characters and story mode of each character. We can play in story mode and train our worriers to compete with our friends or other nearby opponents to get higher rank. We can equip, upgrade, train and command our Heroes. This game provide 15 different mode and missions. This game provide awesome graphic quality with sounds. Approximately 5 million users downloaded this game. 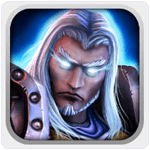 Dungeon Quest is Wonderful among other RPG games for android which is full of action and adventure. We can also play this game offline. Let’s ready to fight with our rivals. Try and learn different types of moves by playing this game. We can also equip our warrior with different powers and weapons. We can also test our skill to fight with four different types of bosses. Approximately 5 million users downloaded this app. 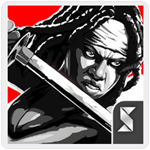 It is an awesome android action and RPG game which has a rating of 4.4 on Google Play store. The game provide many different heroes with ancient powers to fight against the evil. The game also provide story mode to explore the story of super hero. It also has multiplayer mode to play with our friends and we can also challenge the players around the world. Approximately 5 million users downloaded this game. Let’s ready for the new experience of RPG Game with Shards of magic. We have to assemble a team of legendary heroes for new adventures. This game offer 3D visual graphics. In this game we have to find the magic shards before our rivals. This game provide 350 different levels with three difficulty levels. We can also play in co operation mode with our friends and also play to compete the other players around the words. Approximately 5 million users downloaded this game. In conclusion, these are best RPG games for android. Where we can enjoy all role playing acts in the game and complete their amazing levels.